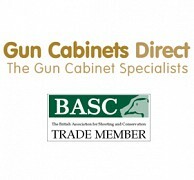 This section contains links to Gun cabinet makers and sellers throughout the UK. Fortify Gun Cabinets manufacture an extensive range of high quality, innovative gun cabinets and supply direct to the shooting trade. Gun Cabinets Direct are specialist suppliers of gun storage including gun cabinets and gun safes to gun bags and gun cases. Winterfield gun cabinets, ammo safes, shotgun cabinets and gun safes are competitively priced and meet the necessary British standards for police approval. Visit WinterfieldSafes.co.uk for great deals and special offers on a range of models, ideal for both the single gun owner and collectors.